Product code: Q764 Categories: Sold Items, Sold Watches. Here is a very elegant Art Deco era watch that is just as much a piece of Art Deco jewellery as it is a watch. Entirely made in platinum including the watch band, the watch case is set with 18 diamonds that sparkle incredibly. The diamonds total 1.80 carats and really compliment the watch so well. To highlight the setting, the diamonds are all milgrain set which is the very elegant crimping along the edge of the setting which was typical of jewellery of the 1930’s to the 1940’s. The case measures 22mm across plus the crown and is the perfect size to wear day or night and is guaranteed to be admired and commented on. The dial is all original with numerals in a delightful Art Deco font and is also complete with its original Breguet style hands. The mesh platinum band itself is incredible and a real testament to the jewellers of this period in that it is made so well and can so easily be lengthened or shortened by simply pulling up the clasp and moving it up or down. Measuring 9.1mm wide it is in perfect contrast to the watch case and is so easy to alter its length. 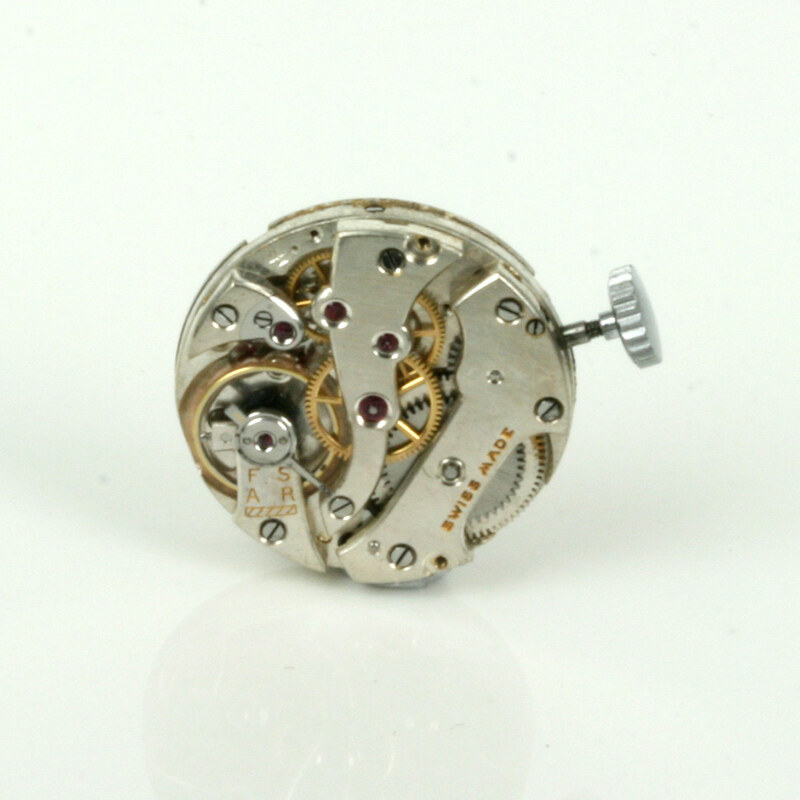 Inside is a fully jewelled Swiss made manual wind movement that has just been fully serviced and comes with our 1 year warranty. 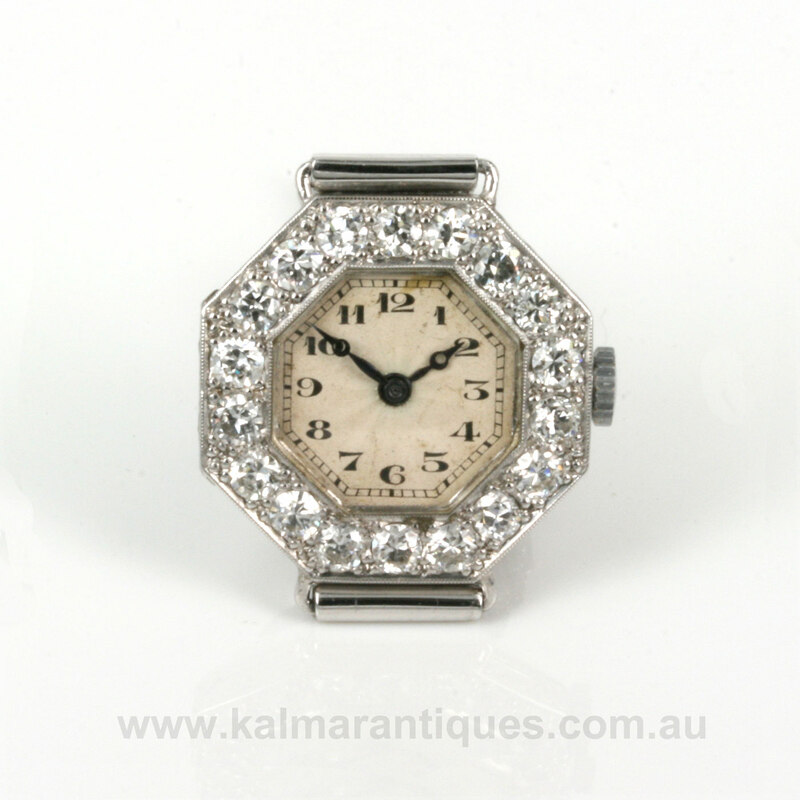 This is a divine Art Deco era diamond watch that looks and feels magnificent on the wrist.